Bitcoin Malay System Review, Fake Bitcoin Malay System SCAM? Yes! 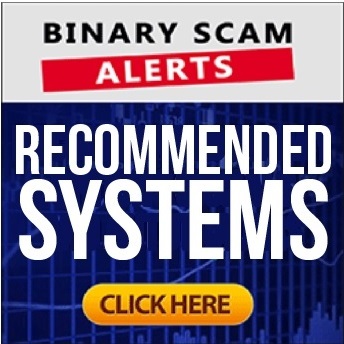 Binary Scam Alerts » Bitcoin Scam Reviews » Bitcoin Malay System Review, Fake Bitcoin Malay System SCAM? Yes! Today we are reaching out to all of our Malaysian members and subscribers and posting an immediate SCAM alert and BLACKLIST notification in regards to the recent Bitcoin Malay System (recycled). The fraudulent Bitcoin Malay System by Jasper Boyle is a fake Bitcoin robot, app, and automated trading software. It is a part of what we refer to as a crypto scam production line also referred to as a turnkey solution for unethical affiliate marketers looking to plugin to a ready-made system and start peddling filthy apps online. In other words, its cloned software which integrates with dirty brokers who then steal your money and send kickbacks to the online promoters. SCAM ALERT: This Bitcoin Malay System review was prompted by multiple complaints! If you have been illegally solicited via SPAM email, annoying popups or Facebook advertisements, then you should be aware that greedy online scammers. So, if you reside in Kuala Lumpur, Ipoh, Kuching, Johor Bahru, or Kota Kinabalu you had best hold on to your wallet and NEVER disclose any type of personal details (especially your credit card information). Our researchers were able to produce clear and tangible proof of SCAM which can’t be rebuked or discounted by any fake review site. We would like to reiterate and point out the fact that the Bitcoin Malay System is more than just a simple get-rich-quick crypto scam, it is a textbook example and a part of the growing phenomenon we previously referred to as a “production line scam”. This means there is a heavily funded operation and serious crooks behind it. So, if you believe this system to be legitimate or genuine then we strongly recommend you continue to read our detailed Bitcoin Malay System review, and see for yourself how we were able to expose these crooks and their filthy affiliate marketing operation. Below you will see three screenshots taken respectively from the Britcoin System, Bitcoin Aussie System, and then the Bricoin Malay System. Its very easy to see that this is a copy/paste scam used by lazy and cheap affiliate marketers who wish to defraud unsuspecting victims (that’s you) who are simply looking for a legit app in order to generate some passive income online. And here AGAIN we have the same post-registration page that we have for the Britcoin System. Its easy to see they are using the same filthy brokers, Hybrid Reserve and Prestige Financial Markets. Boyle is not a real person. His identity is fake and he doesn’t pose “a big threat to financial institutions.” The story about him being a broker for a massive international bank is a lie. Additionally, he never had access to “large investment accounts and mathematical processes which power financial systems”. This story was invented by charlatans in order to lend this scheme a more authentic look and feel, but we know the truth! How Does The Bitcoin Malay System Work? In the sales video they claim there is a sophisticated trading algorithm which allows you to stay split seconds ahead of the market and in this way beat the competition. Fact is, the software is highly manipulated and intentionally loses your money. The affiliates get a percentage of your loss when you invest, and this is what is commonly referred to as a revenue or profit share scheme. Only you are not the one making the profits, the brokers and promoters are! That is the real secret, but no one will tell you that. Bitcoin Malay System Review, 99% Trading Accuracy or Legit? At the risk of sounding a bit repetitious, we will just highlight the main points this sales presentation recycles a countless number of times. Get ready for “shocking results” and massive profits in less than 24 hours. Here comes our hero Boyle! He wants to take the industry by storm and rectify the current situation where big banks use their clout to generate money for themselves whilst leaving out the little guy. So, he invented this “laser-accurate” software which generates Bitcoin trading signals and lets you trade “like the big boys”. He claims he wants to produce 15 new millionaires, but that is a lie and total fabrication. The fake testimonials below prove it. There is much hype and talk about getting rich with Bitcoin in Malaysia, so its time to put on your thinking cap and stop listening to fake news and Facebook con artists. Absolutely not! It’s going to cost you at least $250 in order to get started, and that money will be charged to your credit card by some fake broker who is on a mission to steal your financial data. We saw a fake YouTube review, and since we are the first ones to expose this filthy app there are no fake blog reviews YET. But don’t worry, we will soon start seeing the same fake review sites trying to sell you some rubbish about how you can generate money and passive income. Still Trust the Bitcoin Malay System? If you still trust the Bitcoin Malay System to perform as advertised then you need to re-evaluate your position and maybe come to the realization that online trading is not for you as there is no way you can actually profit here. There are many systems available for you, and many more are launched on a daily basis. All of them offer you free access to massive wealth at the click of a mouse, but only a select few deliver as advertised. So, if you are new in the market and looking for a tested and proven software then we have a short list of reputable systems waiting for you.